11 March / Renovations have been completed in the halls of the building on Tiigi Street that is home to Tartu’s Vital Statistics Office, and marriages are now being registered in rooms with a novel new design. Siiri Sinijärv, Head of the Tartu City Government’s Vital Statistics Office, is happy with the results of the renovations which lasted for six weeks. ‘We registered the first couples following the completion of renovations on Friday and Saturday, and so far we have only received words of praise. 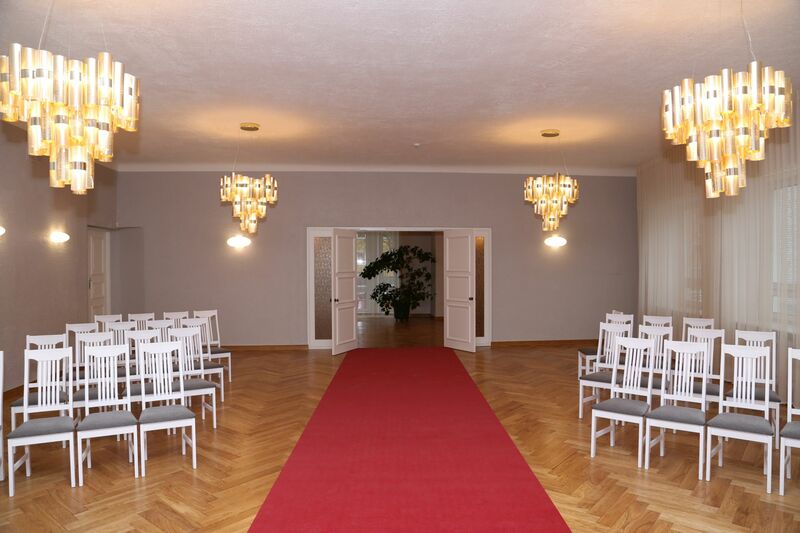 The rooms are appropriately dignified for hosting such important events,' said Sinijärv. During the course of renovations the halls received a new finish, oak parquet flooring was laid, and new designer lighting fixtures from OÜ Moodne Valgustus were installed in the ceiling. Kristi Lõhmus, from Roomy OÜ, was responsible for the interior design. In addition to the renovation of two halls, fire doors were also installed in the building. Festive marriage registrations take place in the Tiigi Street building on Fridays and Saturdays.